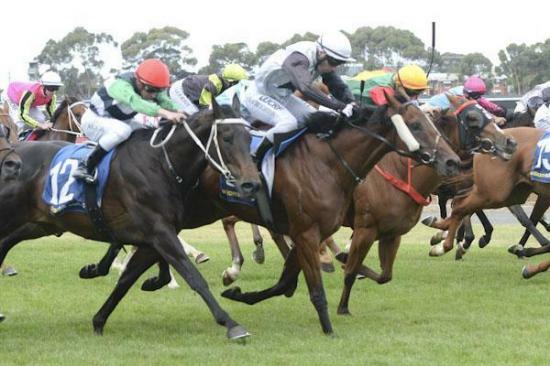 It is the challenging horses who often provide the greatest thrills in racing and it was great to see Laundered in winning form at Geelong on Sunday. Having his first run since a disappointing run at Ballarat in early November, the talented four-year-old can, says Rick "be a bit difficult." But the horse nickname "Toast" has always displayed good natural ability, easily winning his second start at Bairnsdale back in May last year and trialling well prior to his unplaced run at Ballarat. "He was disappointing there," said regular rider Alan Creighton, "but he 'd had a few issues (a foot abscess) so we decided to go back to the drawing board. He is not the easiest horse to train and Rick has done a great job with him." Whilst Laundered's maiden victory came at 1600m and his latest at 1400m, Rick is confident that he will be better over longer trips - "he will get up over 2000m," he said, "maybe even further." "He is not a very good track worker but we have always had a nice opinion of him and he does produce on race day." Which is just what he did at Geelong, recovering off a slightly tardy start to take the sit, swinging four wide into the straight and really digging deep to put his nose in front in a tight finish. A son of former Darley shuttler Hard Spun, Laundered is out of the very good broodmare Clear Money who has produced seven winners including the Gr.2 winning sprinter Tesbury Jack and the multiple city winner Charlottes Mint. Congratulations to Laundered's patient owners RWH Thoroughbreds (manager Joanne Malloy), Andrew Nitschke, M Webb, Ron Webb, Martin Talty, Charmaine Talty, Gary North, Stephen Nielsen, Womens Business No 2 (Mgr: Mrs C M Blandford), Andy White, Peter Edgcumbe, Steve Peter-Budge, Malcolm Steward and Vicki Richards.